In addition to a wardrobe of costume finery, hobbyists will also find instructions for practical projects such as an e-reader cover or a laptop bag crafted of checkered fabric that serves double-duty as a chessboard and carryall, as well as patterns for plush toys inspired by Star Trek, robots, and the comic book Squee! Wear (and knit!) 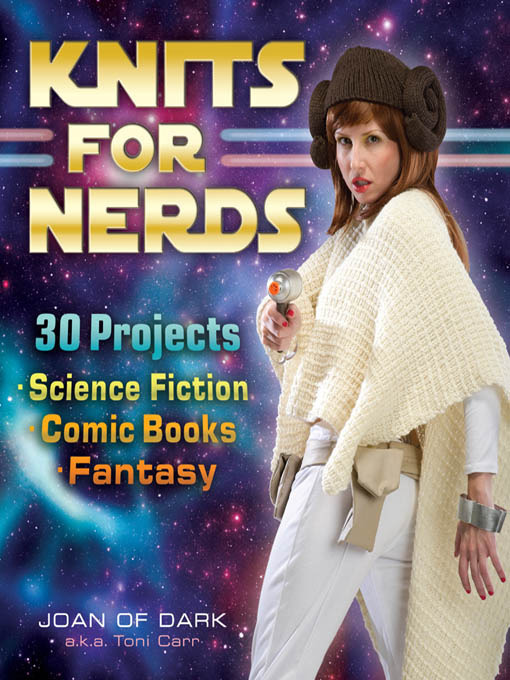 your nerdiness on your sleeve with Knits for Nerds.